Welcome to Day 4 of Slow Cooker Week! Visit our blog every day during our 7-day Slow Cooker Week to get great winter and holiday slow cooker recipes, and for a chance to win a Hamilton Beach 6 Quart Programmable Stovetop Slow Cooker. Find the contest rules and enter below. A comment on this post will grant you an extra entry to win the Hamilton Beach slow cooker. To find all of our posts during Slow Cooker Week click here. This guest post comes to us from blogger Olivia Smith. Olivia is the blogger behind Cooking with Libby. Thanks, Olivia, for your great slow cooker breakfast recipe. Christmas is almost here and I cannot think of anything better then having such a simple and healthy dish like this to eat over the holidays. This recipe has everything you need to get your morning started. You have your eggs for protein, your cheeses for dairy, and your spices to kick up it a notch. We love it because it is the perfect way to use up left over vegetables before they even have a chance to go bad. You can add meat if you want, however, my family thinks it tastes just fine without it. 1. In a frying pan over medium heat, saute zucchini, squash, bell pepper, garlic, olive oil, and broccoli until they are soft. 2. Combine the mozzarella, Cheddar, and Parmesan cheeses with the beaten eggs in a medium bowl with a whisk. Add the Italian seasoning, salt, and pepper. Whisk until well combined. 3. Spray the slow cooker with nonstick spray and add the veggies. Top with the egg-cheese mixture. Stir until well-combined. 4. Cook on HIGH for 2 to 3 hours or on LOW for 4 to 6 hours. 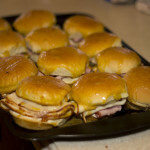 Visit Olivia’s blog, Cooking with Libby, for more great Christmas recipes. What’s your favorite ingredient to put in a breakfast casserole? 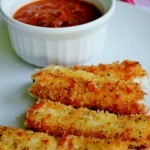 There is a maximum of one entry per person per day on AllFreeSlowCookerRecipes.com via our web site entry form. Earn a bonus entry each day by commenting on each daily blog post during Slow Cooker Week (1 per day). Winner will be selected at random from the comments on the seven daily Slow Cooker Week blog posts and site entries. You have until December 14th, 2013 at 11:59p EST to leave your comment on this post and/or enter our contest via AllFreeSlowCookerRecipes.com. To gain an extra entry for the Hamilton Beach 6 Quart Programmable Stovetop Slow Cooker, comment on today’s post below. One blog comment per day is permitted, in addition to one entry on AllFreeSlowCookerRecipes.com. 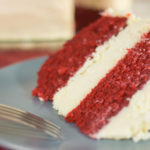 You must enter our giveaway on AllFreeSlowCookerRecipes.com to be considered for the prize. A comment on this post will grant you an extra entry. I love zucchini and broccoli. This sound delicious. Fresh mushrooms would be wonderful! The kitchen sink!!! Too many ingredients to choose from! Looks like a great meal to me! I may choose some different vegies, but think I’ll try this one. I’m pinning it. I know we’re only supposed to enter once for each day, but wanted to tell you it may not be a jackpot (instead it’s a crock pot) but this is fun. Thanks for sponsoring this. Please feel free to remove one of my two comments for this day. I have never tried this before, but it certainly looks scrumptious ! Looking forward to giving it a try. Breakfast? This would make a GREAT dinner…some crusty bread and wine to go with it – yum! What a great way to make a healthy meal with what I have on hand! No waste, great nutrition! I’m making this today! My slow cooker just died, so this would be perfect! 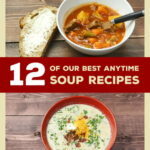 I hadn’t realized the total versatility of a slow cooker until I came across this site. this one looks good for those who are not in favor of “sweet” breakfasts. I love making “baked egg casseroles” with bread, diced potatoes and such, sometimes with scrambled eggs, sometimes with “whole” eggs on top. This recipe sounds amazing! I love anything with eggs and cheese. Can’t wait to try it. Have made something similar, but only on the stove top. Looking forward to just putting everything in the slow cooker and forgetting about it for a few hours. Thank you! I agree with Holly Darling, Too many ingredients. They overpower each other. 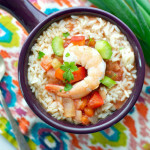 I’ve never made this type of dish in a slow cooker…now I can just let it do the work! Nice! This recipe is so colorful and enticing to eat! My family really enjoyed it! Too many veggies I would have to leave out to try this. I’ll stick to my eggs, cheese, meat omelets. Always good to see new methods and recipes. I think it sounds better than it looks in that pic. Would try it for sure though. This is a great recipe! Yum!! Will definitely be trying this one over the holidays! Love it. Will try this one. I agree with comment above.. It sounds better than it looks! I love using my slow cooker. these recipes are great. I’m so trying this; all my faves! Oh my golly! This is a MUST TRY!!! It has all my favorite ingredients. YUM! I have not tried egg dishes in the crockpot yet. I sure could use a new crockpot! Looks like a great recipe for my crockpot file. I love chive! I put it on all sorts of things, from pizza to subs, I have never made a Frittatta, but it just so happens I made a breakfast casserole last night for dinner and I really liked it. 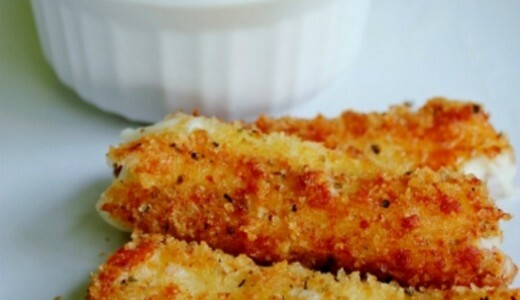 Will also love to give this one a try too I love trying out new recipes! Sounds good for Christmas brunch. With the Hamilton Beach slow cooker you wouldn’t even need to dirty the frying pan. What a deal. Never thought of an egg dish in the slow cooker. Have to try it. MMmmm! This looks and sounds so very delicious. I think I will have to try it this weekend. I love it! A lot of veggies all in one dish! This sounds more like brunch … or one great meal to start before church xmas eve! Being from the south, has to have meat..so will make two, one for the gals, and one for guys, with either ham, of Italian sausage. Looks yummy! 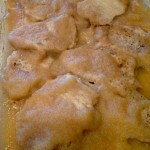 I love making breakfast casseroles, will add this one to my list. cooker. Winning this would be great. Sounds like a good dinner with a salad and some crusty bread! Now this is definitely something I will try. Looks delish.. The Frittata looks to be so yummy! What a wonderful dish for brunch…. Looks so yummy…will be trying this soon!!! This recipe has all my favorite ingredients in it. I will have to try it. Sausage. Next would be onions and mushrooms. Sounds so delicious and couldn’t be any easier using the slow cooker. My husband always plants a big garden and in the fall he is looking for veggie recipes to use what the deer don’t eat! He said this looked good so I’m sure we’ll be trying it. I just like bacon in everything. 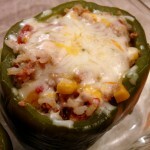 I never would have thought to make something like this in my slow cooker! Thanks for the idea. In my kitchen, though, it seems every meal starts with me cutting up an onion, so I’d probably toss some diced onion into the skillet. I will be trying this one tomorrow. Sounds really good. My favourite ingredient to put in a breakfast casserole is bacon, eggs have to go in too of course. This sounds like a good recipe, I think that I might have added some bacon bits towards the end of the cooking time though. Can’t wait to try this recipe with my new Hamilton Beach Slow Cooker. I’ve always wondered what you could do with zucchini and squash that wasn’t the ordinary bake or boil. I’ll have to try this. My favorite thing to add to a breakfast casserole is…. CHEESE!! The amounts in this recipe do not disappoint! Can’t wait to try it! This sounds delicious! All that cheese and fat!! Yum Yum. Oh my goodness! This Slow Cooker Vegetable Three Cheese Frittata looks AMAZING!!!!!!! I can’t hardly wait to try it! Budget friendly, tasty, easy. What’s not to like? This looks delicious, and something I can have on my diabetic diet!! I don’t eat eggs but, my family does and this looks like something they would love! Cheese makes everything better! Can’t wait to try it!! Thanks for sharing. I like adaptable recipes like this one. This sounds really good but knowing my children I’m going to swap the italian seasoning for either salsa or a can of Rotel that’s been drained. I love frittatas and I like how this recipe adds so many veggies and different kinds of cheese. Gonna give this a try. Cheese makes anything taste good! My favorite ingredient for a breakfast casserole (other than eggs) is sharp cheddar cheese. This looks fine the way it is but if I were making it for my family it would need some “heat.” Jalepenos would do the trick.